When it comes to standards of making mobile devices, Apple has set the bar pretty high year after year with their iPhone series. With its 10th Anniversary coming up, Apple is set to release its latest addition to the already glistening career of iPhones, the iPhone 8. Mobile geeks and tech enthusiasts from around the world have begun their speculation of what features would the new iPhone 8 have and how would it be different from its previous versions. What can be expected from the new iPhone? ConceptsiPhone has recently released a video detailing out the possible design that the new iPhone can have. The most eye catching feature that the video has is the display of the new iPhone, which covers the entire front of the device. Many reports suggest that the iPhone 8 will move towards an all glass design feature straying away from the usual metallic design they implement. 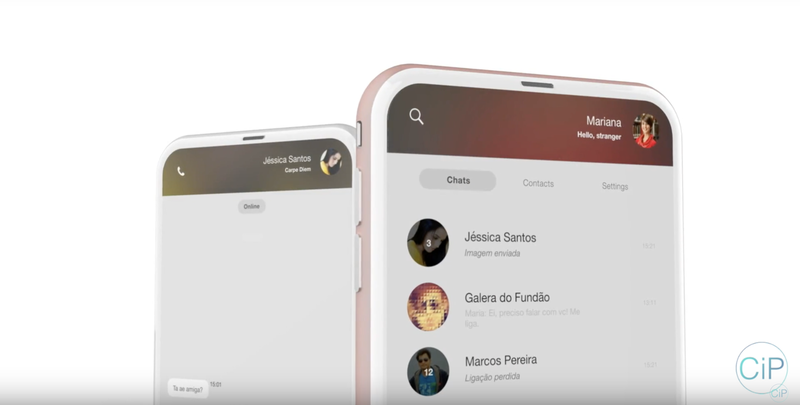 However with the new iPhone 8 commercial, it can be seen that the new device will have a similar design as compared to iPhone 7 plus in addition to many newer features. Apart from these features, the new iPhone 8 shown in the advertisement does not stray away from its original design that has been the company’s pride for many years. 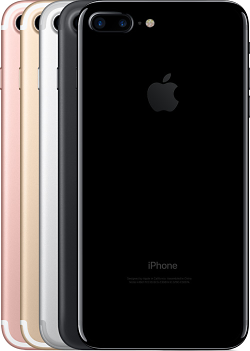 The volume button and the side switch designs are influenced by the original iPhone 4 models and a rounded metal frame falsifying the rumor about the new device being made in an iPhone 4 style. A unique feature that the iPhone 8 can have is the dynamic Home button which performs similar function like the MacBook pro touch bar. However the biggest visual change in the 10th anniversary iPhone would be the use of a curved screen that uses OLED technology. This would mark the first time that an iPhone has a curved screen. The iPhone 8 will be facing a tough competition with its release as Samsung and Google both are releasing their newest devices at the same time iPhone comes out. To keep its new innovation a step ahead, Apple has implemented an edge-to-edge display that does away with top and bottom bezels and holds features like Touch ID fingerprinting and front facing camera. The touch ID and the camera may be built directly into the display! The new iPhone is rumored to have a state of the art long range wireless charging system, a first for any iPhone device. Long range wireless charging is superior to other wireless charging systems as it does not require your device to be in close proximity of the charging source. The news of release of iPhone 8 has indeed caused a lot of stir and with tons of rumors and speculations flying around regarding its features and design. But all we can do is wait for Apple to officially release the iPhone 8 which is sure to be a popular indeed as it has been for many years. Apple iPhone 7 launch was heavily criticized by all both the tech critics as well as users but it hasn’t dull the Apple aura at all. Apple delivered its best quarters a year ago with the launch of iPhone 6s but such shipments volumes were not repeated with the iPhone 7 as most of the people vouched for waiting for better upgrade in upcoming years. However things are not as bad as it looks or appears to most of us. Quite on the contrary Apple has been able to attract whole new generation of iPhone customers during this last holiday season. The services revenue is raising steadily with the iPhone 7 shipments and the share for Apple rose to its highest level in as many as 17 months. Apple has maintained that the iPhone users are upgrading to the iPhone 7 at the same rate as they upgraded to iPhone 6s last year. Apple has been able to sell about 3.5 million more phones in the third quarter of 2016 which were driven by new customers. 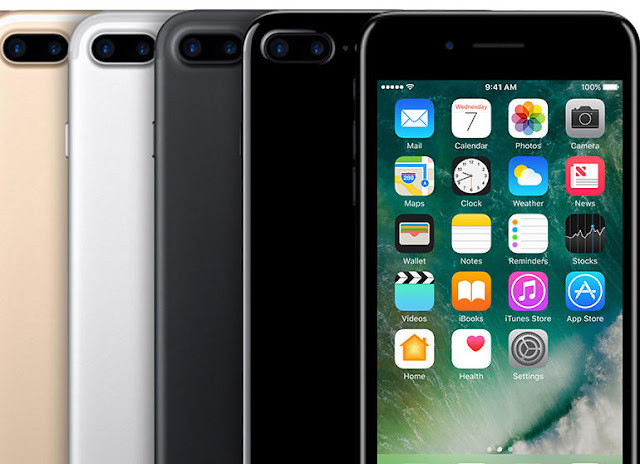 iPhone 7 was snubbed by the critics as it offered modest upgrade over the last iPhone but it still brought a range of features which includes an improved camera, water resistance, improved processor and enhanced camera. 2016 being the 10 anniversary of the iPhone it was expected that Apple will bring turnaround changes in terms of designs and modifications of the smartphone but Apple failed lived up to the expectation. Apple is working hard on the innovation front as its R&D spending had simply jumped by 19% and so far company has spent about $2.9 billion in the first quarter. During the holiday season of 2016 Apple’s total revenue increased by 3.3 percent to a commendable $78.4 billion and it has been able to earn about $3.36 a share. The major breakthrough made by the Apple in this holiday season is also attributed to fact that Samsung Note 7 were recalled due to battery explosions. The US performance of Apple iPhone adoption or upgrading to latest iPhone is slow as carriers have plans wherein users get discounts on their new devices for next two years. This ensures that consumers stick with their older devices for longer time than necessary. However these kinds of plans came to an end in 2016 and it has opened up a greater audience ready or upgrade for Apple iPhone. Apple year to year iPhone sale decline has reached its high during 2016 which forced Apple to give a push it services in order to keep generating revenue through its Apple Music, iCloud and App Store. Apple device ecosystem is closely linked with its range of services which brings a wide amount of revenue for Apple apart from keeping the user-experience streamlined across its devices. Quite recent Apple financial reports has shown that its services grown by 18 percent to a massive $7.2 billion. Apple has set its aim to double up the annual total to a goal of $50 billion by 2021. Within a few years of launching the Echo speaker system in a bid turn modern homes into smart home Amazon is seen as a driving force in the ‘smart home’ segment. This particular system designed by the Amazon has shown its ease of use technology to the users wherein they can control wide array of gadgets within few commands. The success achieved by the Amazon is set to get stiff competition not just from the Apple but also from the Google in upcoming future. Amazon has used open-system approach which results in quick development with more number of feature inclusion but Apple on other hand is taking a slower path which stems from its habit of keeping as much control over the technology as possible in order to infuse security and ease of use. The key household devices which are finding their way in the emergence of the smart home include everything from the lighting system to the refrigerators. Amazon Alexa currently has over 250 devices working on its smart home system and Amazon brings a certain portion of financial incentives to its partners to keep them glued on its system. On other hand Apple’s Homekit has just 100 certified devices at the moment due to strict guidelines set by the Apple in order to ensure security as well as to bring rewards in returns. 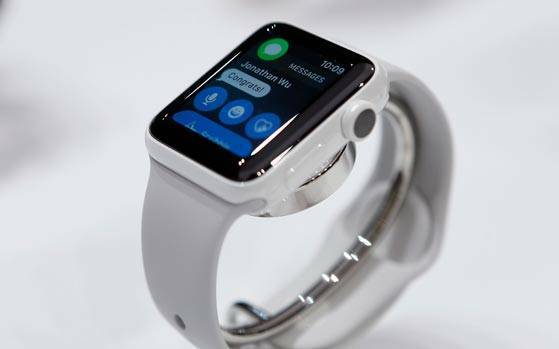 In order to be a part of the Apple’s smart home and to be placed in the Apple’s gadget ecosystem manufacturers are required to insert a special chip in their devices. The price of this chip may vary anywhere between 50 cents to $2 as per the volume of the devices they are making at a single go. Apart from this chipset manufacturers will also have to buy certain specific WiFi and Bluetooth networking chips. Furthermore manufacturers have to send their products to the Apple in order to test their compatibility with its system. 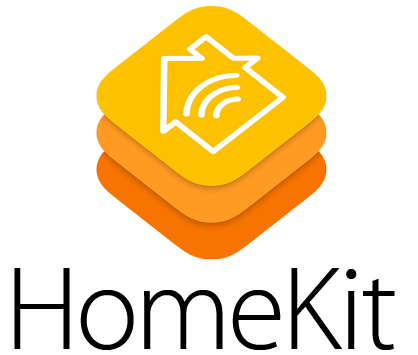 This process is lengthy as it takes anywhere around three to five months and even device manufacturers are abstained from publicly stating that they are opting for the Homekit certification. Amazon has kept Alexa as a spate entity which deals with all the things ‘smart home’. It specifically deal with the smart home companies which happens to write software code and then submits it back to the Amazon for further review. Amazon has laid some simple yet influential steps to acquire the ‘Works with Alexa’ label for their products which will help in boosting sales on its shopping portal. Startups are required to get their products physically tested by the Amazon before it showcases on the shopping portals. Amazon sacrifices the security portion on its smart home initiative as it can’t guarantee such in the third-party devices. Apple is actively working towards eliminating the security issue on its platform by keeping a strict guideline and policy which will eventually bring an advantage to Apple over Amazon. If you are crazy about photography on your Smartphone then you must have found that Nokia Lumia 1020 was the best in every manner. It been years since the launch of Nokia’s ultimate Smartphone which offered exceptional camera capabilities. But the launch of Apple iPhone 7 simply turned the game on Nokia by bringing the best camera on any given device still available in the Smartphone segment across the manufacturers, make, build or model. If you wish to take Apple’s iPhone camera capability to the next level then you should certainly try out using some cool additional lens. Telephoto Lens Adapter comes at a sweet price of $17 which comprises of all the common kit for your photography needs. The adapter fits on the iPhone like a charm with very tight fitting which removes the chances of slipping out during shooting. There is some major issue with the adapter gripping which tens sway from the phone’s camera each time a users tried to tighten the adapter for better effect and this is basically caused by the friction grip phenomena. It offers splendid images with great clarity and depth but it fails a number of times as the aperture of the phone camera doesn’t matches with adapter. PNY brings a set of magnetic lenses with its 4-in-1 lens kit which can be easily fitted on an iPhone. The fitting technology has been a big let down due to some issues but when it comes to performance it appears as really good optics. Using PNY lenses with Lumia 950XL was certainly a bad choice it failed to fit well enough with Microsoft device to offer an optimal usage experience. PNY suffered from similar issue when used on the Samsung premium handsets like Galaxy S7 and S7 edge. When using with iPhone 7 this additional lens still suffering from fitting issue but a little application of glue resolved it completely. The image quality rendered by the PNY was above satisfactorily level but one has to ensure that the lenses cover the phone’s camera precisely in order to get best shots. Fitting a set of Occoclip lens right on the iPhone helps in getting a macro, ultra-wide angle and fish eye effects with ease and simplicity. It brings the wide 120 degree views to the users on their iPhone while using the fisheye brings the field of view to exceptional 180 degrees. Both of these features will help in clicking highly detailed and depth full images without much hassle. Going for the additional lenses isn’t always pocket friendly but it is worth giving out a try if you want to take the iPhone imaging experience to a whole new level. If you are willing to spend more for enhanced camera capabilities on your Apple device then opt for any one of these lenses. In case you aren’t amused by these there are numerous photographic apps in the App Store which can fulfill your needs but not to the great level as lens.